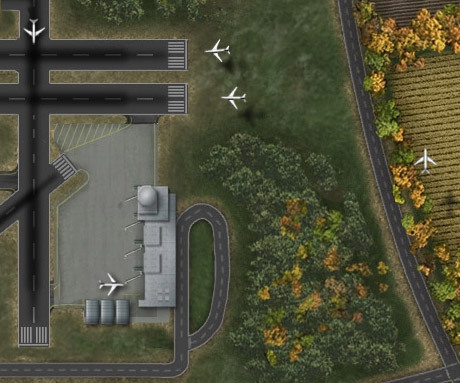 We are making good progress on our upcoming air traffic control game Airport Madness 4, still aiming for a release date of December 1, 2011. When the blog is quiet, that means we are hard at work! I’ve promised a screenshot so here is a snippet. Airport Madness 4 is a dramatic improvement over it’s predecessor, most notably by the number of airports that it offers. There will be a total of 6 different airports to choose from, each unique with their own special challenges. Helicopters, float planes and space shuttles will be just a few of the new and interesting aircraft you will see. The Concorde may also make an appearance (depends on whether I’m still in a good mood after all this coding :)) In addition, there will be new control features, including the option to vector. Vectoring by itself is a huge addition to Airport Madness. It adds a whole new feel to the game. In Airport Madness 3 we had 360’s, which some felt were rather pointless when things got busy. Many have asked for holds, and that will be added as well, although I suspect it won’t offer the supreme power of steering planes with vectors. We are still working on the logistics of offering “any runway to any aircraft”. Although Airport Madness 4 will definitely offer many more runway choices, it is difficult to offer this complex option without destroying the simplicity that Airport Madness is based on. It has been very clearly requested that we offer players the option to pick and choose specific gates, taxiways and runways, despite the consequences of aircraft becoming irreversibly stuck nose-to-nose on a taxiway somewhere. It’s our intention to offer this, but it will likely only exist on one or two airports.